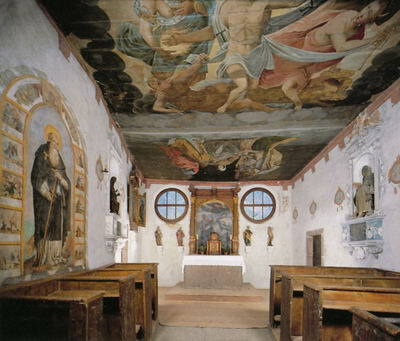 The castle Trostburg is located at the village of Waidbruck, between Bozen (23 km) and Klausen (6 km) on the Brenner route A22, which runs through the Lower Eisack Valley. Trostburg sits next to the entry to the Gröden Valley (Val Gardena) and can be most easily reached from the village center of Waidbuck (only by feet - road closed to vehicles). 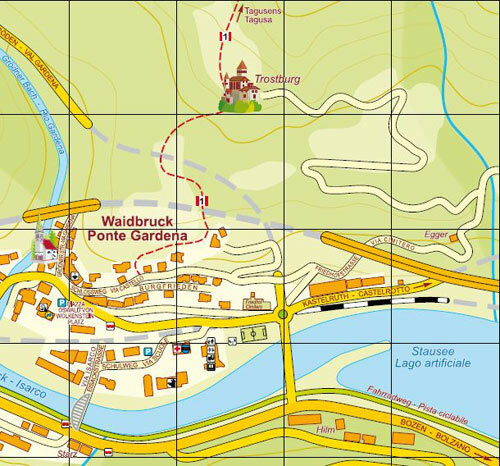 by car, to reach Waidbruck’s village center (Ponte Gardena), take the right turn onto Kastelruther Straße (Via Castelrotto) from the traffic circle on route SS242 in front of the tunnel for the Gröden Valley. Kastelruther Straße (Via Castelrotto) brings you straight to the village centre. There are plenty of parking spaces near the parish church. 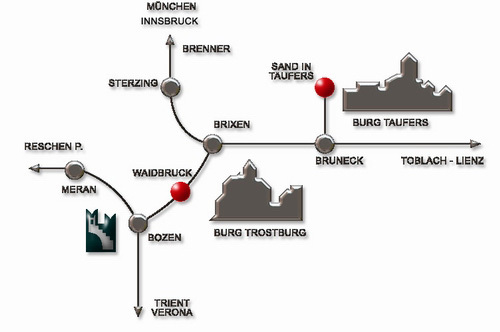 By train, Waidbruck can also be reached. Waidbruck’s train station is at its center. There are also buses that go to Waidbruck. From the Oswald-von-Wolkenstein Square, there is the old Trostburg path. 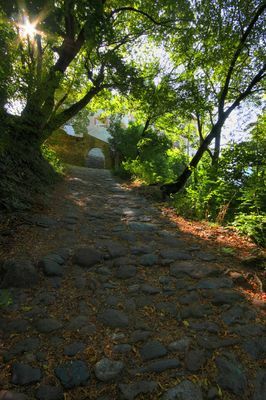 After a few meters of paved road, the medieval path goes through deciduous woods to reach the castle. Although the ascent is somewhat steep, the little hike to Trostburg only takes 10 to 15 minutes. A second, paved road leading from the village center up to Trostburg is more comfortable than the first one, but takes longer (around 30 min). It begins immediately after the Waidbruck cemetery. This road is closed to vehicles after the first 500 meters. There is also an easy hiking path that leads to Trostburg. The path is accessible from the hiking trail leading from Kastelruth over Tisens to Tagusens. The hike (No. 1) takes about 50 minutes. from the Thursday before Easter until the end of October. A visit is only possible with a guided tour. Trostburg is closed on Mondays. 11 a.m., 2 p.m. and 3 p.m.
10 a.m., 11 a.m., 2 p.m., 3 p.m. and 4 p.m. The guided visit through the castle takes around 40 – 50 minutes. For the unguided visit of the exhibition rooms one should plan for approximately 15 minutes, although a stay up to 40 minutes is considered to be very informative and worth it. We recommend you to arrange visits with groups beforehand.